To train service designers to solve contemporary system problems, our educational institutions need to continuously invest in new forms of training and development. In this article, focusing on the US, we build on other authors’ efforts to bridge the gap between academia and industry, offering a perspective on current recruiting expectations, and reflecting on personal experience working in the service design field. We outline four skill areas that should be a part of every service designer’s CV or resume, and highlight exciting new ways in which service design academia is retooling itself to train for the challenges of an evolving job market. Current service design programmes support students in some areas better than others – research and ideation, for example, tend to be favoured over implementation. According to the 2017 Design In Tech Report1, the top three skills demanded by today’s professional design practice are: 1) using research and analytics, 2) understanding business and finance and 3) leadership and teamwork. The report further concluded that design education is more biased toward communication and empathy competencies. Glancing at the exhaustive lists of skill requirements sought by employers from new service design hires, the gap between academia and industry becomes even more stark. We believe that a concerted effort to strengthen training in four critical areas will provide students with a stronger foundation to enter the job market and allow them to accelerate faster into leadership roles. These four core skill areas are: Human, Technical, Quantitative, and Business. Common skill requirements for service designers, as cited in a selection of vacancies posted in 2017. Recently, schools with programmes focusing on social innovation, such as Carnegie Mellon University, Savannah College of Art and Design (SCAD) and School of Visual Arts, have shown a keen interest in developing human skills through industry outreach initiatives that focus on collaborative, real-world learning experiences. For example, one collaboration between Frog Design and SCAD’s Design for Sustainability programme in 2013, in which the lead author participated, involved the prototyping of the ‘Collective Action Toolkit’ with high schools students. 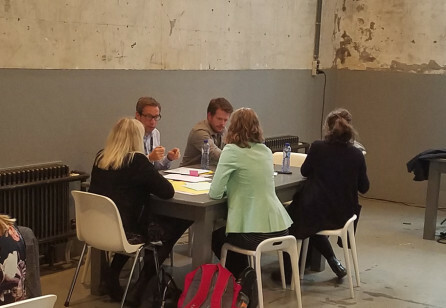 This project provided students with an opportunity to practice facilitation skills, as well as to develop one-on-one rapport with outside experts. The two significant areas for fostering human skills are: ‘collaboration, communication and facilitation’ and ‘organisational culture and behaviour science’ knowledge. 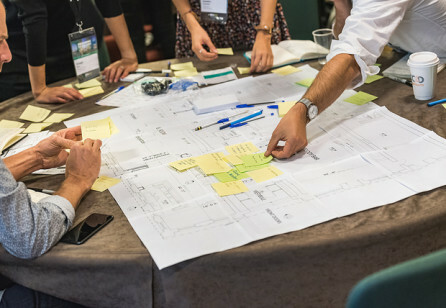 Service designers are often called on to act as creative facilitators, not only able to build consensus among diverse groups, but also to actively catalyse, interpret and reframe conversations among participants to generate new ideas. While the ability to scribe or diagram emerging conversational patterns is one component of facilitation that is typically trained in academia, the human skills required to manage personalities, read social cues and maintain conversational flow are not typically addressed. In order to prepare students for facilitation roles, exposure to other social science programmes, such as anthropology and organisational behaviour, is a critical complement to facilitation training. Such a training programme would augment students’ visual skills, and enhance their ability to create alignment and energise group participation. Human skills training is not only about improving facilitation; it is equally important for students to develop the ability to observe and affect organisational culture. Every organisation with which a professional interfaces is in some way biased toward its legacy and established value systems. This often creates a resistance to change. Schools should familiarise students with this concept, and teach associated behaviour change strategies. These strategies all start with building empathy as the first step toward change. Students need to learn how to entertain opposing viewpoints, to meet each person at their level and to build trust. 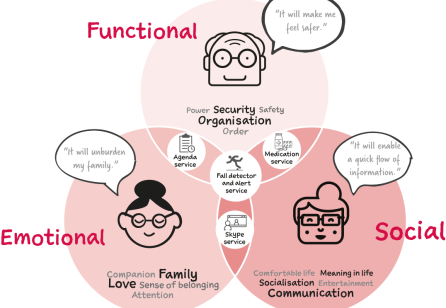 In the professional world, service design often involves the shaping of behaviour. For students, developing knowledge about the physical, emotional, social, cultural and cognitive factors influencing human behaviours provides critical preparation for the challenges ahead. Human skills have a tremendous impact on a student’s success. The role of service designers is to shed light on invisible processes, take into account lots of moving parts and bring meaningful experiences to life in a collaborative manner. There are still many projects that are new to our field, and we are evolving our approach as we move forward. Leveraging the visual and narrative aspects of technology can play a key role in these experimentations. Although design schools have traditionally taught visual storytelling skills fairly well, we should continue to be inspired by programmes like Design and Technology at Parson’s New School for Design, to push the boundaries of communication technologies. In professional practice, technical skills are necessary to capture research findings, document work processes and bring services to life through visualisation. To design holistic solutions, research initiatives need to study all steps within a customer lifecycle. This can be time-consuming and budget-sensitive. Technology can support researchers in building effective toolkits to efficiently capture data both in-person and through online communities, exploring social media behaviours and interactions with brands. Also, relying on augmented reality, holograms and other 3D tools, students can practice immersive storytelling to make abstract information tangible. New media provokes exciting questions: How can we use these tools to simulate service experiences in the real world? Can they help us build empathy? How might we build interactive experiences to foster engagement and build a shared vision? Quantitative skills are often underrepresented in service design programmes, yet in professional practice play a significant role in demonstrating the return on investment of any service design project. Business-driven programmes, such as the MBA and M.S. in Design Innovation at Northwestern University, are ahead of the curve in this regard. They provide students with important knowledge and tools to measure operational efficiencies, as well as social, environmental and brand value. In the professional world, the ability to quantify impact in these terms is an integral part of interfacing with engineers and managers. Quantitative skills also play a strong role in project planning and evaluation of a project’s success. Service design programmes can improve the development of quantitative skills in a number of ways. By studying a simulated client’s business contexts, and translating them to a framework of ‘impact metrics’, students might practice answering questions in business development meetings. Student projects might also focus more intensively on defining key performance indicators (KPIs), such as Net Promoter or Customer Effort Scores, to measure the benefit of a service intervention on customer retention or employee empowerment. Quantitative skills can also help students better capture and interpret qualitative research data, including stakeholder emotional response to the service experience. This is an increasingly important component of professional practice, and a valuable competency to enhance the persuasiveness of research. Finally, students would benefit from greater exposure to use of ‘off the shelf’ quantitative research tools, such as WordClouds, text analysis and Google trends, that provide opportunities for processing and mining user data. What differentiates service design from other design disciplines is its power to create experiences that are not only desirable, but are also aligned with organisational capabilities and are financially viable. Business thinking is therefore highly valued in the service design job market. As service designers, we are expected to design holistic and on-brand solutions with measurable impacts on an entire ecosystem of a project, specify the details, and allocate appropriate resources. Some academic programmes, such as the Royal College of Art’s collaboration with Imperial College’s Department of Computing and Business, dedicate a large portion of their curricula to business training, yet this is far from the norm. These programmes seek to transform a student into a competent visionary who can think from the business point of view, present a story with facts recognisable to decision makers and design, deliver and augment sophisticated solutions with valuable experiences. In other words, someone who can create a great design and demonstrate its value to top-level management. Key business-focused skills may include translating positive customer experience into testable assumptions about shopping cart size and conversion rates, or articulating the projected impact of organisational and operational reforms on training time, employee churn, and brand reputation. Looking ahead, it is unrealistic to expect that a service designer should develop all the aforementioned skills to a full extent, meeting the industry's expectations. There are always trade-offs and reflecting on our personal journeys, we emphasise the substantial role of human skills. Ultimately, priorities will always be shifting as the service design field grows and the role of academia is to continue to ‘adjust the sliders’ so that the balance tilts towards the current and near future job market. 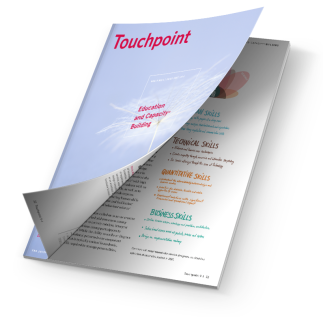 This article is part of Touchpoint Vol. 9 No. 1 - Education and Capacity-Building. Discover the full list of articles of this issue or flip the preview to get a sneak peek at more fascinating insights on this topic! Touchpoint Vol. 9 No. 1 is available to purchase in print and PDF format. Become a SDN member, or upgrade your community membership to be able to read all articles online and download the full-issue PDF at no charge.